New arrival! Product Description: Hot sale! A lovely gift for any special day. The wholesale product of vacuum-packed cultured pearl oysters is highly praised and appreciated by the consuming public. The list price is for 150PCS of Mix 20 Colors Single Twins Triplet Quads Individual Package 6-8mm Saltwater Round Akoya Pearl Oyster. If you purchase this listing, you can get mix 20 colors, it will include 5 Triplet, 5 Quads, 30 twins, 110 single. 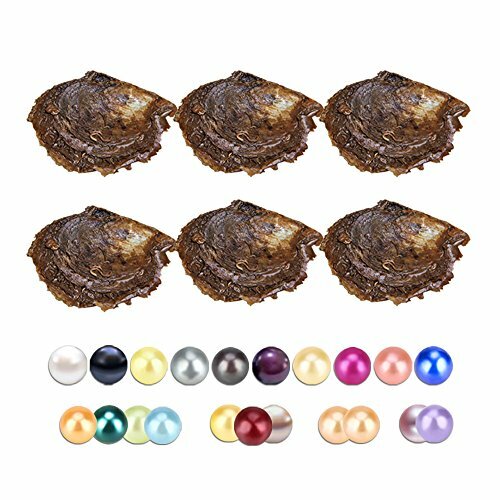 The oysters with the cultured pearls of bright luster in special packing way are very suitable for your family, friends, lovers, or even yourself as a gift. We have reliable quality and reputation. Pick this hot selling product and you won't be disappointed.